Add style and comfort to your home with this upholstered chair. 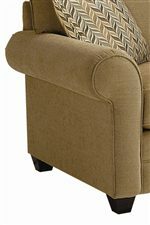 The rolled arms and exposed wood wedge legs provide subtle detail to this comfortable chair with a boxed cushion seat and bed-pillow back. 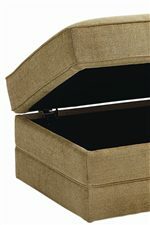 Add the Alex storage ottoman for ultimate relaxation. 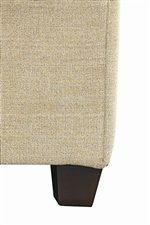 The Alex Upholstered Chair with Exposed Wood Wedge Legs by Bassett at AHFA in the area. Product availability may vary. Contact us for the most current availability on this product.